Latin America Caribbean Library Services (LACLS) was born out of the need, and desire, to enhance the training of national pastors, leaders and missionaries in Latin America and the Caribbean (28 countries). The Assemblies of God has over 1300 Bible schools throughout Latin America and the Caribbean. LACLS is a service agency for libraries. It partners with missionaries, US districts and churches, and individuals for the purpose of donating resource books to libraries of national Bible schools. In essence, it serves as a liaison between the donors and the field Bible schools, purchasing books from 30 different publishers at a significant discount. Since it’s beginning in 1997, LACLS has placed libraries in over 160 Bible schools, in 31 countries, totaling over 78,000 volumes. There are four types of libraries offered: 1) Basic Reference Library (150 books). 2) Condensed Library (430 books). 3) Standard Bible School Library (1000 books). 4) Advanced Library (1150 books). The Condensed Library is also available in English and French. Once a sponsor has provided the necessary funding, books are obtained and then processed, including: stamping with school’s name, placing spine label with Dewey Decimal classification number and protective seal, applying donor’s label on inside cover, and printing catalog cards according to title, author, and subject. Then, sports bags filled with books are hand-carried into the respective countries by construction & ministry teams. LACLS also offers on-site library orientation and training seminars for library personnel, as well as a library management software program uniquely prepared for field libraries. The Web site www.lacls.org provides online library information and services. 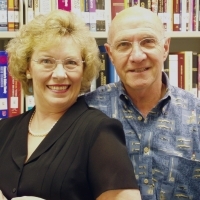 Missionary Everett Ward serves as founder and director; assisted by missionary Karen Preiser, project coordinator. Missionary Jim Powers serves as Director of Development and volunteer Joan Lindsey handles the bookkeeping. Al Anderson, a part-time volunteer from Harlingin, TX, serves as chief program designer. Also, Stan Kean volunteers time in processing and shipping. In many countries a spiritual awakening is taking place. To conserve the fruit of this revival, training is required, and training demands resources. The LACLS team is committed to help supply the tools needed to provide a strong spiritual and theological foundation for the 52,000 students in training. This is a missions ministry and subsists entirely from donations and offerings from individuals and churches. Every week we receive a “Macedonian call” from some Bible school needing help. Our challenge is finding enough sponsors for these projects, as well as monthly support. Please contact us if you or your church are interested in sponsoring a resourch library for a foreign Bible school.